An 800k investment in the former Toni & Guy building on St George’s street culminates in the launch of Turtle Bay Winchester on the 21st January. The new Turtle Bay restaurant and bar will bring more than 40 signature cocktails and wide-range of jerk-spiced dishes to the city, and creates 50 new jobs in the process. 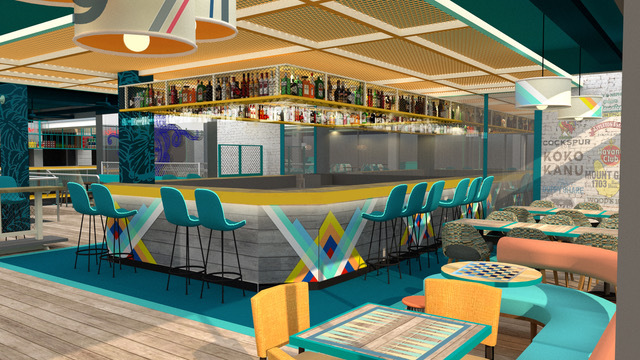 With 166 seats, the restaurant will showcase the best flavours and the famed atmosphere of the Caribbean. The menu includes ‘Cutters’ inspired by beach shacks and street food vendors, the Jerk BBQ Pit; and the highly popular Curry One Pots. As an extra incentive, every weekday is 'happy hour' until 7pm, with 2-4-1 cocktails. The happy hour starts again at 10pm. Find out more at the official Turtle Bay Winchester website.